Happy New Year from the ayfie team! We start our 2019 with the final preparations for our booth presence at an exciting event: Legalweek New York. A year goes by so fast. Not only regular festive occasions like New Years Eve remind us of that, but also recurring important trade shows and events. Almost one year ago, we exhibited for the first time at Legalweek New York, one of the most significant legal technology events worldwide. From January 28-31, various segments of the legal industry gather in the New York Midtown Hilton to explore the business and regulatory trends, technology and talent drivers impacting the legal industry. We just remembered this photo from last year's booth saying "See you next year. Booth #322". By the time we took that photo, the next Legalweek show seemed ages away. But 11 months and much amazing ayfie news later (read our full 2018 review here), we're thrilled that the Legalweek 2019 is just around the corner. And we're even more thrilled about the opportunity to meet you there at our booth (#322)! 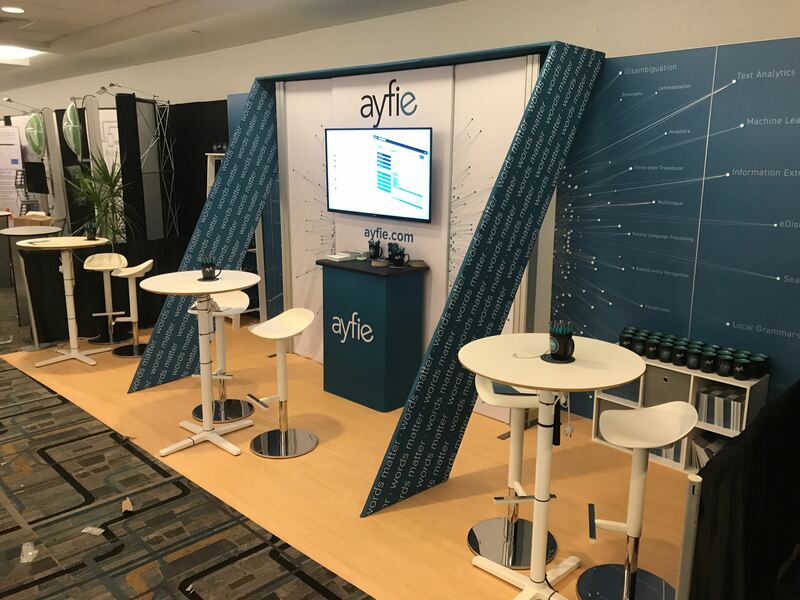 The ayfie team will demonstrate our advanced text analytics technology solutions. Learn how ayfie Inspector helps you to extract and structure information from unstructured content to increase the performance of the most popular knowledge discovery applications including Relativity®. 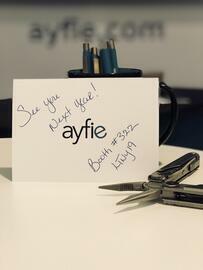 Don't miss the chance to see how ayfie's solution can help you gain a competitive advantage. Schedule a time here to meet our team at Legalweek booth #322!